I’m 5’10 and my husband is 6’3. Low and behold my daughter was born at 6 lbs 12 oz and was a little newborn sized string bean – long and lean. Luckily we had a few “just in case onesies” at home, but the day after we came home my husband ran out to the store and bought her first newborn sized sleepers. He did an awesome job! 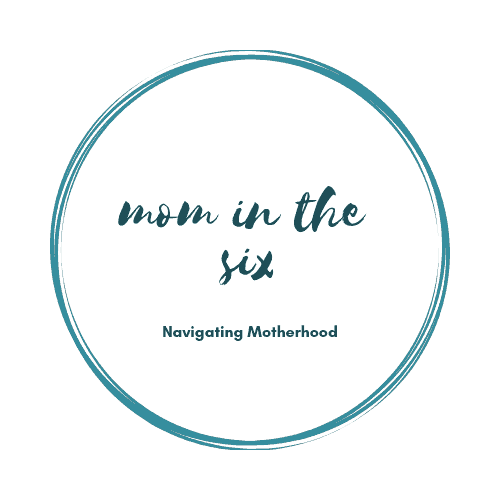 Newborn/infant clothes are so small, but I quickly learned they can unnecessarily complicate things when you are already stressed in the beginning of your new family life. Your friends and family have the best intentions when purchasing your little one clothes, but they may be prioritizing “cuteness” over functional for mom and dad. So you need to do some extra shopping. Now that I am out of the newborn stage *tear* I have learned some clothes lessons that I would like to share to make dressing baby easier. 1. Limit the amount of Newborn size clothes you buy. Don’t be like me and don’t buy any at all, but your baby will grow out of this size the fastest so don’t go overboard! Some babies don’t ever fit in NB size. Just make sure to have a week’s worth of onesies and sleepers on hand in case they do fit. Whoops! 2. Zippers over snaps. Buy sleepers with zippers whenever possible. At two in the morning, when you are a zombie, you don’t want to be fiddling with snaps in the dark. Zippers take two seconds and are so much easier! Sometimes snaps in between baby’s legs get complicated for some reason and they all seem to be different. Zippers are hands down the easier of the two options. 3. Avoid sneaky back buttons. I have a few adorable onesies from The Gap that have a button closure at the back by the neck. They are so small and so hard to close by yourself! It’s even harder when your baby lacks neck control because you have to do it one handed (or on my case just leave it open, but then it doesn’t quite look right). Baby shirt/pant combos are adorable but one-pieces are much easier and more comfortable for the baby at this stage. T-shirts ride up in car seats and as adorable as your baby’s belly is she doesn’t want it exposed to the world on your walks. 5. You do not need shoes! Babies don’t walk and therefore do not need shoes as newborns. On all my mom groups shoes seem to always be on sale with “brand new never worn”. Not only are they a pain to put on they aren’t functional yet. Stick with cute socks instead! Oh baby clothes. They are the absolute cutest! And with a few considerations shopping for them is a breeze and your 2 am self will thank you. Great advice! They grow so fast so I absolutely agree with limiting the amount of clothing that is bought. Thanks for sharing! Great advice! I absolutely agree with limiting the amount of clothing bought as they grow so fast. Thanks for sharing! My daughters fathers family bought her a ton of shoes and it actually irritated me haha. Newborns definitely have 0 need for shoes and totally agree with zips instead of buttons! Baby clothes are so cute! I really loved the sleepers with open bottoms so we could just slip it up and down for easy diaper changes. And I totally second the “no shoes” idea. Neither of mine wore shoes until they were experienced cruisers. These are great tips! My last baby is far from the newborn stage but I remember it like it was yesterday! Snaps are THE WORST. I agree with all, but the last one I am totally guilty of. I bought all my newborns shoes and they all wore them ;). I just couldn’t resist those adorable little things!!! My daughter was gifted the most adorable pink running shoes…Everytime her dad was in charge of dressing her they we’re on – super cute! Maybe I should put an asterisk next to that one haha!